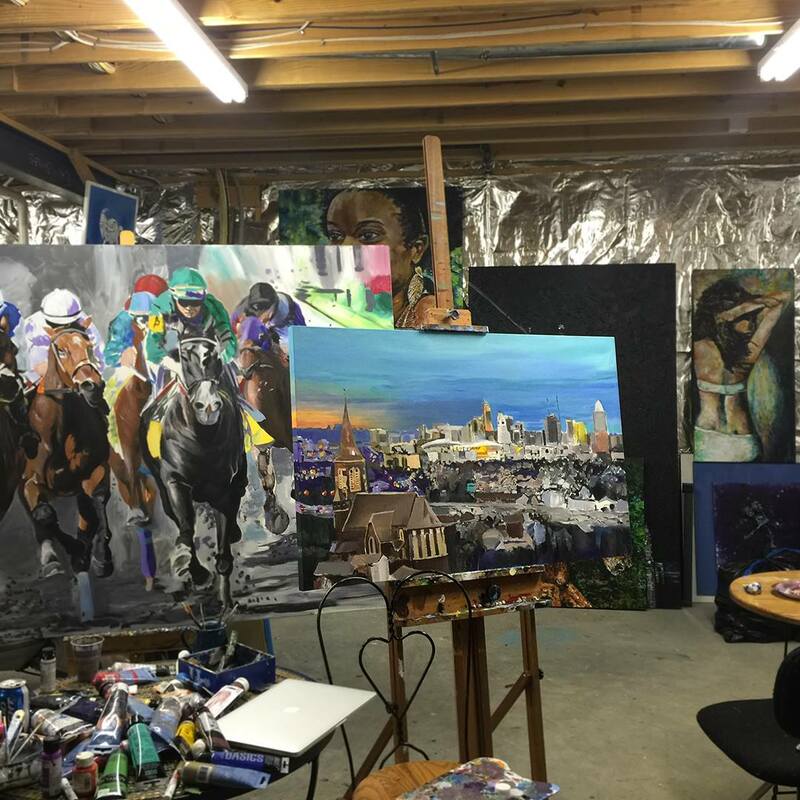 Here’s a peak in the studio at an early start to the painting titled, St. Johns and Cincinnati I’m rocking for our anniversary coming up in May. Don’t tell my wife I’m doing this, it’s a surprise. What makes this painting super special is that it features the church we got married in, St. Johns, we both love the city of Cincinnati, and of course the lit up stadium of our favorite NFL team, the Bengals. I actually took the reference image one night before heading down to a Monday Night game when the Bengals beat the Broncos late 2014. This entry was posted in artwork and tagged art, Art of Cincinnati, artist, artist that paint cincinnati, Artists that paint Cincinnati, artwork, Cincinnati, Cincinnati Art, Cincinnati Artist, Cincinnati Artwork, Cincinnati Fine Art, cincinnati fine artist, cincinnati fine artist jeff johns, Cincinnati Painting, Cincinnati Paintings, Cincinnati Photography, Cincinnati Skyline, Cincinnati Skyline Art, Cincinnati Skyline Paintings, Cincinnati Skylines, cincy art, creative, Creative Director Jeff Johns, creativejefferyj, fine art, fine art by jeff johns, fine artist cincinnati, fine artist jeff johns by jefferyjohns. Bookmark the permalink.